[PDF] The Egyptians: A Radical Story | Free eBooks Download - EBOOKEE! Description: In early 2011, Cairo's Tahrir Square briefly commanded the attention of the world. Half a decade later, the international media has largely moved on from Egypt's explosive cycles of revolution and counter-revolution - but the Arab World's most populous nation remains as volatile as ever, its turmoil intimately bound up with forms of authoritarian power and grassroots resistance that stretch right across the globe. 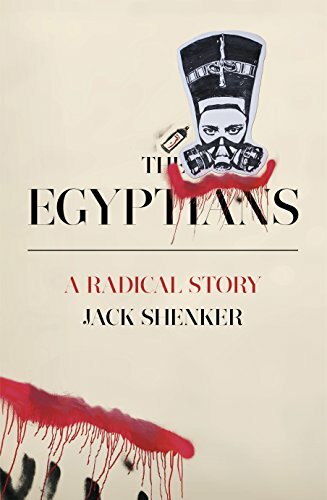 In The Egyptians: A Radical Story, Jack Shenker uncovers the roots of the uprising that succeeded in toppling Hosni Mubarak, one of the Middle East's most entrenched dictators, and explores a country now divided between two irreconcilable political orders. Challenging conventional analyses that depict contemporary Egypt as a battle between Islamists and secular forces, The Egyptians illuminates other, far more important fault lines: the far-flung communities waging war against transnational corporations, the men and women fighting to subvert long-established gender norms, the workers dramatically seizing control of their own factories, and the cultural producers (novelists, graffiti artists and illicit bedroom DJs) appropriating public space in defiance of their repressive and increasingly violent western-backed regime. No comments for "[PDF] The Egyptians: A Radical Story".